Compared to other racial groups, Native Americans experience some of the highest rates of substance abuse, mental health disorders, violence, and suicide.1 The cultural and spiritual beliefs of American Indians and Alaska Natives, as well as the historical trauma suffered by people who identify with these ethnic groups, require special considerations to be taken in the treatment of addiction and other mental health conditions. Understanding the needs of this demographic is critical to finding effective rehab services and achieving lasting recovery. Although American Indians and Alaska Natives make up a relatively small percentage of the total U.S. population, they are disproportionally affected by social issues that are widely recognized as contributing factors to substance abuse, addiction, and overdose. Over the past 3 decades, Native American populations have increasingly relocated from reservations and rural areas to cities.6 Roughly 67% of all American Indians live in urban areas, and this percentage continues to grow.6 Urban natives may not feel a strong connection to their tribal communities, cultural history, or even their immediate family—a factor that may impact their mental health and contribute to issues such as depression and substance abuse. Hospitalizations due to substance use. Difficulty finding or maintaining steady employment. 8.5% of Native Americans between 12 and 17 years old have an alcohol use disorder. 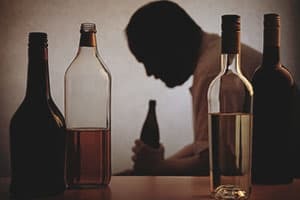 20.8% of those aged 18 to 25 have an alcohol use disorder. 23.6% of natives age 12 to 20 binge drink. Chronic liver disease, including cirrhosis, is the 6th leading cause of death for American Indians and Alaska Natives. Nearly 50% reported having used marijuana in their lifetime. More than 17% reported using cocaine. More than 4% reported having used crack in their lifetime. More than 17% had used a hallucinogen. Nearly 12% had used inhalants. Nearly 7% had misused prescription drugs. Illicit drug use by American Indians and Alaska Natives is higher than any other single ethnic group. Suicide is a major public health problem among American Indians. Studies show that American Indians and Alaska Natives have the highest rate of suicide among all ethnic groups in the United States.13 Suicide is complex, and no single reason leads a person to commit suicide. Instead, a variety of individual and societal circumstances, barriers to mental health services, and comorbid conditions such as substance abuse all play a role in the occurrence of suicide. 8.8% of Native Americans over the age of 18 had co-occurring, past-year mental and substance use disorders, compared to the national average of 3.3%. The percentage of natives ages 18 and up who reported past-year mental illness was 21.2%. The rate of serious mental illness was 4%. 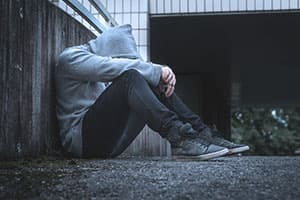 Suicide is the second leading cause of death among American Indian youths ages 15 to 24.16For Native Americans, many of the risk factors that contribute to high rates of drug and alcohol abuse also contribute to a high risk of suicide. Many Native American communities have limited access to substance abuse services. Nearly 20% of native adults need treatment for drug or alcohol use disorders, but only 12% actually receive treatment.1 These low rates of treatment engagement may be in part due to significant barriers to treatment that native communities face, including transportation issues, lack of health insurance or poor insurance coverage, poverty, cultural stigma associated with substance abuse, and a shortage of appropriate treatment options in regions where native populations are concentrated.22Researchers have developed strategies that blend traditional native teachings with evidence-based practices. Every tribe is unique, with varying locations, populations, histories, substance abuse patterns, and degrees of trust placed in westernized medicine. In order to be effective, treatment approaches need to be tailored to address the barriers and needs of each individual tribe and patient. Some researchers advocate that more native communities turn toward traditional healing methods when addressing substance abuse and mental health issues within the tribe.26 Indian Health Service (IHS), the federal health program for American Indians and Alaska Natives, recommends an approach that blends the traditional medicine wheel with the 12 steps of Alcoholics Anonymous or Narcotics Anonymous. The IHS also funds the Methamphetamine and Suicide Prevention Initiative (MSPI), which aims to develop prevention programming and culturally relevant best practices to address high rates of methamphetamine use and suicide among American Indians and Alaska Natives. Substance abuse prevention and treatment programs should always be respectful of a person’s culture, beliefs, practices, and language needs. It’s important that intervention and prevention efforts tailor information to address the community it is serving—whether Native American or any other ethnic or religious group. 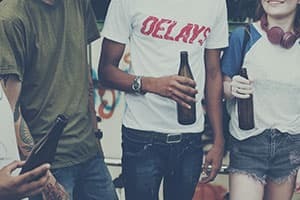 American Indian youth aged 12 to 17 have the highest rate of alcohol use of all racial/ethnic groups, and 1 in every 5 native youth engage in underage drinking.14 Significant risk factors such as discrimination, racism, and related stress affect this group and contribute to high rates of substance abuse. Tribal Youth Program (TYP): This resource aims to improve tribal juvenile justice systems and prevent juvenile delinquency in native communities. Boys and Girls Clubs Native Services: These programs serve nearly 90,000 native youth from over 90 tribal communities to provide a safe and positive alternative to gang activity. National Indian Youth Leadership Project: This is an outdoor youth development program that uses experiential learning to build positive relationships. Its flagship program, Project Venture, is an outdoor leadership program designed for middle school and high school aged youth. 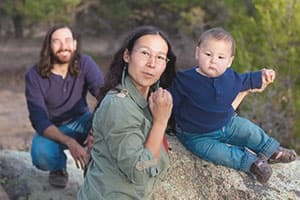 Because the prevalence of substance abuse among Native Americans is disproportionately high, there are a number of community programs and tribal resources available to connect American Indians and Alaska Natives with treatment that integrates native rituals and considers their unique needs. Indian Health Services (IHS) Division of Behavioral Health Programs: This page is a great resource to connect with IHS programs designed specifically to address alcohol and substance abuse, domestic violence, mental health care, suicide prevention, and other issues that affect the Native American community. Minnesota Indian Women’s Resource Center: This center aims to empower native women and families by offering culturally tailored treatment programs that use motivational interviewing, art therapy, acupuncture, massage, individual and group counseling, and traditional counseling approaches provided by an Elder in Residence. Native American Connections: This organization helps provide families and individuals with culturally appropriate health programs, affordable housing, and substance abuse treatment. Native American Indian General Service Office of Alcoholics Anonymous: These groups operate under the structure of AA but incorporate traditional ways into the AA meeting structure. These meetings may include candles, eagle feathers, talking circles, and other traditional elements. If you are planning to hold an AA meeting in your tribal community, this site can offer useful materials. Johns Hopkins Center for American Indian Health: This center has worked with over 80 tribal nations across 15 states. Their alcohol and drug abuse prevention programs include sports and life skills education, plus a program called EMPWR (Educate, Motivate, Protect, Wellness, Respect). If you’re a person of Native American descent struggling with drug or alcohol addiction, don’t hesitate to seek out the help you need. There are programs and resources available to help you find a treatment program that honors your culture and beliefs. Don’t let addiction keep you from living a fulfilling, meaningful life. U.S. Department of Health and Human Services Indian Health Service Division of Behavioral Health Office of Clinical and Preventive Services. (2011). American Indian/Alaska Native Behavioral Health Briefing Book. United States Census Bureau. (2016). FFF: American Indian and Alaska Native Heritage Month: November 2016. Office of Minority and National Affairs. (2010). Mental Health Disparities: American Indians and Alaska Natives. American Psychiatric Association. Greenfeld, L., Smith, S. (1999). American Indians and Crime. Bureau of Justice Statistics, Washington, D.C.
National Conference of State Legislatures. (2016). Federal and State Recognized Tribes. Urban Indian Health Institute, Seattle Indian Health Board. (2012). Addressing Depression Among American Indians and Alaska Natives: A Literature Review. Seattle, WA: Urban Indian Health Institute. Rieckmann, T., McCarty, D., Kovas, A., et. al. (2012). American Indians with Substance Use Disorders: Treatment Needs and Comorbid Conditions. The American Journal of Drug and Alcohol Abuse, 38(5), 498–504. Heart, M. (2003). The historical trauma response among natives and its relationship with substance abuse: A Lakota illustration. Journal of Psychoactive Drugs, 35(1), 7–13. Gray, N., Nye, P. (2001). American Indian and Alaska Native Substance Abuse: Co-Morbidity and Cultural Issues. Journal of American Indian and Alaska Native Mental Health Research, 10(2), 67–84. 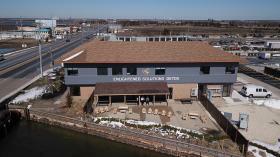 Native American Center for Excellence. (2008). Environmental Scan Summary Report. The National Congress of American Indians. (2006). Methamphetamine in Indian Country: An American Problem Uniquely Affecting Indian Country. Olson, L., Wahab, S. (2006). American Indians and Suicide: A neglected area of research. Trauma, Violence, & Abuse, 7(1), 19–33. 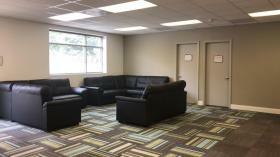 Center for Mental Health Services. (2010). To Live to See the Great Day That Dawns: Preventing Suicide by American Indian and Alaska Native Youth and Young Adults. 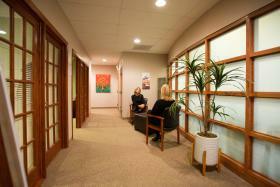 Substance Abuse and Mental Health Services Administration, Rockville, MD. Substance Abuse and Mental Health Services Administration. (2016). Racial and Ethnic Minority Populations. Center for Native American Youth. (n.d.). Native American Youth 101. The Aspen Institute, Washington, D.C.
Centers for Disease Control and Prevention. (2015). Suicide: Facts at a Glance. Centers for Disease Control and Prevention. (n.d.). WONDER Online Databases. Futures Without Violence. (n.d.). The Facts on Violence Against American Indian/Alaskan Native Women. Duran, B., Oetzel, J., Parker, T., et. al. (2009). 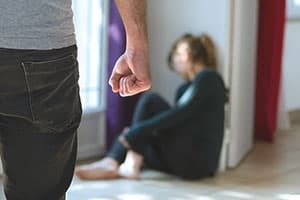 Intimate Partner Violence and Alcohol, Drug and Mental Disorders Among American Indian Women from Southwest Tribes in Primary Care. Journal of American Indian and Alaska Native Mental Health Research, 16(2), 11–26. Perry, S. (2004). A BJS Statistical Profile, 1992-2002: American Indians and Crime. Bureau of Justice Statistics, Washington, D.C.
Dickerson, D. L., Spear, S., Marinelli-Casey, P., et. al. (2011). American Indians/Alaska Natives and Substance Abuse Treatment Outcomes: Positive Signs and Continuing Challenges. Journal of Addictive Diseases, 30(1), 63–74. Kenney, M., Singh, G. (2016). Adverse Childhood Experiences among American Indian/Alaska Native Children: The 2011-2012 National Survey of Children’s Health. Scientifica, 2016, article ID 7424239. Indian Health Service. (n.d.). Culturally Relevant Best Practices. Owen, S. (2014). Walking in balance: Native American recovery programmes. Religions, 5(4), 1037–1049. Novins, D., Aarons, G., Conti, S., et. al. (2011). Use of the evidence base in substance abuse treatment programs for American Indians and Alaska natives: Pursuing quality in the crucible of practice and policy. Implementation Science, 6,63.